From the Aktion Reinhard(t) camps we move to Chełmno extermination camp, regarding which Mattogno starts (p. 1322) by congratulating himself on the fact that the critique did not dispute his "demonstration" that 7,176 Jews deported from Łódź to Chełmno and killed there between June 23 and July 14, 1944 did not actually arrive at Chełmno. I’ll take that as a reminder for a future blog and/or the critique’s second edition. Then he addresses my narrative of cremation procedures at Chełmno. On pp. 450-51 of the critique I had mentioned two failed cremation experiments at that camp by SS-Standartenführer Paul Blobel within the context of Aktion 1005, one with a device having the aspect of a round coal furnace (Kohlenmeiler) and another with a with a flamethrower-like apparatus. I had also deducted from accounts by former Chełmno staff member Fritz Ismer and former police officer Frank Sch., as well as references to accounts about burning corpses in bonfires by archaeologist Łucja Pawlicka-Nowak, that a procedure for burning corpses on grids inside pits had eventually been adopted, with or without Blobel’s contribution. Mattogno focuses on Blobel’s failed cremation experiments, providing a detailed description and large illustration of the functioning of a charcoal kiln, and arguing that as the structure of this device "prohibited continuous cremation", it is unlikely that it would have been tested by the SS for the purpose of mass cremation. He adds a claim that Dejaco’s testimony describing this device contradicts his travel report of 17 September 1942, which suggests a different "special facility" (Sonderanlage). Then he quotes and translates parts of Ismer’s testimony, including the description of another device that Blobel unsuccessfully experimented with (a device comparable to an "enlarged soldering lamp"), and culminating with what I consider Ismer’s key statement, the one that the Chełmno staff eventually "developed a certain technique for the corpse cremation on the grates". Mattogno tries to detract the reader’s attention from this statement by making a fuss about how ridiculous Blobel’s device described by Ismer was (p. 1325)  and accusing me of having deliberately omitted Ismer’s supposed statement whereby "this was the only device ever tested by Blobel in Chełmno" (as if I had tried to make a case that Blobel conducted more than one failed cremation experiment at Chełmno, or as if a contradiction between various descriptions of failed cremation experiments that I spent a single sentence on were detrimental to my argument). As Mattogno brought this up, his own reading of Ismer’s quoted testimony leaves much to be desired, for Ismer merely stated that he had not heard of further cremation experiments by Blobel, which does not exclude the possibility that such experiments took place; it might just mean that Ismer didn’t hear of them or didn’t attribute them to Blobel. Mattogno’s accusation is followed by some of his "the Germans wouldn’t have done it that way" – rhetoric, as he professes his incredulity about Blobel not having heard about those wonderful cremation ovens installed by or ordered from J.A. Topf & Söhne at or for Auschwitz-Birkenau concentration camp. Maybe Mattogno should bear in mind that Blobel was in charge of an operation that involved opening mass graves and cremating corpses at a large number of Nazi killing sites, and that building cremation ovens by J.A. Topf & Söhne at each such site would hardly have been an expedient let alone a cost-efficient solution, hence the preference for improvised open-air cremation devices. Following this showpiece of ill-reasoning and some further irrelevant mumblings, Mattogno again projects one of his favorite activities as he accuses me (pp. 1326f.) of having "lied again", this time by distorting the testimony of Franz Sch(alling), "which in fact reads as follows: […]“Shortly afterwards the graves had to be opened by the Jewish commando. In the meantime three or four pits with the dimensions of 5 m in length, 4 m in width and 3 m in depth had already been dug. In these pits the corpses extracted from the mass graves were placed in layers, sprinkled over with a powder and set on fire. Later some craftsmen additionally constructed a big furnace with a 4 to 5 m high chimney, and further corpses were burned therein. The pits and the furnace burned day and night.”"
This is supposed to show that "the cremation pits had no grids" according to Schalling, to whom I am supposed to have falsely attributed a statement that they did. Actually what I did (as becomes clear from what I wrote on p. 450 of the critique) was put two and two together, which Mattogno seems incapable of doing or unwilling to do. Ismer mentioned cremation on grids. Schalling mentioned cremation in pits. He didn’t mention grids, but neither does his above-quoted statement rule out that the corpses were placed in layers on grids inside the pits. As it is improbable that both methods (cremation on grids and cremation in pits) were applied simultaneously or subsequently, I concluded that the method must have been burning on grids (as described by Ismer) placed inside pits (as described by Schalling). In his instructive eagerness to smear his opponent, Mattogno again made a fool of himself. As if he enjoyed such exercise, Mattogno then incomprehensibly accuses me of "again" altering the contents of my quoted sources (here I’m at loss about what the poet might be trying to tell us) and with a lecturing finger raised high provides a quote of what Łucja Pawlicka-Nowak "in fact" wrote, including the key passage mentioning "repetitive accounts about burning corpses in bonfires, which took place in the initial phase of opening the mass graves and was aimed at quick liquidation of the decomposing bodies", which I had already quoted myself, to then ask from what one could deduce that these "bonfires" were equipped with roasters. Simple answer to an unintelligent question: from the testimony of Fritz Ismer, also quoted by Mattogno himself. On page 450 of the critique, I had incidentally remarked that Blobel seems to have claimed credit for the method of cremating corpses on roasters (mentioned by Ismer, who didn’t attribute it to Blobel), judging by Treblinka commandant Stangl’s recalling to have been told about the experience of a Standartenführer whereby "corpses could be burned on a roaster, and it would work marvelously". I had added that said Standartenführer must have been Blobel, "as is further corroborated by the fact that the method of burning on roasters was adopted not only at the Aktion Reinhard camps but also by Blobel himself at places like Babi Yar, where the corpses were cremated on funeral pyres built on iron rails". Mattogno makes a major issue out of these remarks, arguing that Blobel would have "had already on his track record two dysfunctional cremation systems", that the only innovation introduced by Blobel in relation to the method already in use at Treblinka would have been the use of railway rails instead of trolley rails, and that at the Einsatzgruppen killing site in Paneriai (Ponar) near Vilnius, according to the witnesses Motke Zaidl and Itzhak Dugin, the cremation on pyres lasted for seven to eight days, as opposed to the 10 to 14 hours that was "supposedly" the duration of one pyre in Bełżec. If Zaidl and Dugin were referring to the time it took for a single pyre of corpses to burn down, as opposed to the duration of the whole cremation operation, the structure of the pyres at Paneriai must indeed have been different from that at Bełżec and the other camps of Aktion Reinhard(t) - but then, contrary to what Mattogno tries to make believe, I didn’t claim that the structure was identical. There is more than one way of burning corpses on roasters. What is noteworthy about Mattogno’s comparison is that he seems to have no reservations as concerns the factuality of the Einsatzgruppen killing site in Paneriai, for the moronic "alleged" qualifier is conspicuously missing in regard thereto. If this crematory oven was invented as a consequence of Blobel’s "cremation tests, " why then, in contrast to "the method of burning on roasters," was it not adopted at the Aktion Reinhard camps or at places like Babi Yar? Summarizing a previous blog, I had on page 453 of the critique referred to Mattogno’s attempt to make believe that two incriminating documents, Dejaco’s report of 17 September 1942 and the corresponding travel authorization of 15 September 1942, were not related to Chełmno. I had further pointed out the falsity of Mattogno’s claims that Auschwitz-Birkenau commandant Rudolf Höss’s account of his trip to Kulmhof (Chełmno), written in Polish captivity, was the only evidence about Blobel’s activities at Chełmno (there are also other witnesses mentioning Blobel’s presence), and must be false because Höss is supposed to have incorrectly stated that Kulmhof was no longer in operation (the statement was correct in the sense that deportations to Kulmhof had ceased prior to Höss’s visit on 16 September 1942). Incredibly, Mattogno responds to these assertions by claiming (p. 1331) that "The whole quoted passage does not refer to any of my texts.". This statement is stunning because the statements I attributed to Mattogno can be clearly identified on page 76 and on pp. 78-79 of the English version of Mattogno’s book about Chełmno (the aforementioned blog referred to the Italian version). If Mattogno just wished to express that his vanity was hurt because I referred to the Italian version of the above-quoted passages not directly but via a blog in which the same was discussed in detail, his statement is at least deliberately misleading. If he meant to say that he never produced these claims and arguments, that’s a brazen (and rather unintelligent) lie. Following this inauspicious beginning, Mattogno goes into a long exercise of beating about the bush. He begins by quoting or referring to three statements by Judge Bednarz, one that dates the building of two cremation ovens to the spring of 1942, a second whereby cremation started in the summer of 1942 (due to a typhus epidemic caused by the "large amount of rotting corpses") and two crematoria with chimneys that "towered above the forest" were built at that time, and a third that "again with certainty placed the commencement of cremations in the spring of 1942" (Mattogno). Mattogno asks on what basis on can make the choice "between these two contradicting dates" (spring or summer of 1942), a question that is not as hard to answer as Mattogno tries to make believe. First of all, the various versions produced by Judge Bednarz suggest that the witnesses he interrogated were uncertain about whether the cremations had started in the spring or in the summer, or then some recalled spring whereas others recalled summer. Second, there would have been no need for replacing burial by cremation in the spring, considering that the hygienic problems associated to rotting corpses would arise in hot rather than in cold weather. Third, there is independent corroboration for the summer timing by witnesses not interrogated by Bednarz, such as Fritz Ismer and Frank Schalling. Ismer dated Blobel’s visit to the late summer of 1942, and his account suggests that the successful method of burning corpses on grids was implemented at that time or later. Schalling was also very clear in this respect: he stated that the opening of the mass graves began in the summer of 1942, vividly recalling that in the summer months of 1942 he had seen blood or a similar liquid emanate from one of the graves during guard duty, that shortly thereafter the graves were opened by the Jewish inmates and the corpses had been burned in pits, later also in a huge oven with a chimney 4 to 5 meters high. So the summer 1942 dating stands by far the better chances of being the correct time, the only remaining contradiction being the number of ovens with chimneys: was there only one of them as recalled by Schalling, or were there two as recalled by the witnesses interrogated by Judge Bednarz? Another contradiction, "far more serious" and "insurmountable" to Mattogno’s mind, is supposed to exist as concerns the purpose of cremations: were they carried out for hygienic-sanitary reasons, as assumed by Bednarz, or were they part of an "alleged" project aimed at the erasure of criminal traces, as is maintained by "today’s orthodox historians" like Shmuel Krakowski, quoted by Mattogno? Where Mattogno sees an "insurmountable" contradiction, a reasonable person will ask: why not both? And while Mattogno will dismiss such reasoning as "childish" without further ado, the fact remains that a killing site where large numbers of corpses had to be burned for hygienic reasons already was an ideal experimentation ground, moreover close to a major city on territory of the Reich, for the man who had been entrusted with removing the traces of the Nazis’ murder operations throughout Eastern Europe, SS-Standartenführer Paul Blobel. Here he could establish and test the methods he would later apply elsewhere, and help the Chełmno staff solve their problem as he was at it. That answers Mattogno’s question about what the purpose of Blobel’s experiments was. As to why they were entrusted to him, the answer is that they probably weren’t. What had been entrusted to Blobel was Aktion 1005, for which he had chosen Chełmno as his testing ground. The next page or so of Mattogno’s wisdom is dedicated to a lecture about the history of devices for the "problem of mass cremations for hygienic-sanitary reasons", from a "Field Oven for the cremation of corpses System Friedrich Siemens" to the "Continuously operating corpse cremation furnace for mass operation" conceived by "the head engineer of the Topf company Fritz Sander". Rather than indulge in such techno-babble, Mattogno should try to explain why there was a hygienic-sanitary problem requiring mass cremations at a place called Chełmno. What kind of a place was this, which produced so many corpses that their burial caused hygienic-sanitary problems and therefore mass cremation had to be resorted to? Needless to say, Mattogno is not interested in answering relevant questions like this one, but prefers to ask pointless questions of the "the Germans wouldn’t have done it that way" – variety, in this case the question why the head of the Gestapo, Heinrich Müller, entrusted "the task of performing mass cremation tests" to Blobel, "whose only professional experience was that of a mason and architect", and not to engineer Kurt Prüfer of the J.A. Topf & Söhne company of Erfurt, "who at that time supervised the construction of the cremation ovens at Auschwitz-Birkenau, was among the leading German specialists with regard to cremations". Well, first of all Blobel was Müller’s subordinate, whereas Prüfer wasn’t. Second, Blobel had not been tasked with performing mass cremation tests, but with performing mass cremations at a large number of killing sites throughout Nazi-occupied Eastern Europe. Prüfer was a specialist in building cremation ovens, but (as mentioned before) it would have been hardly expedient, let alone cost-effective, to set up cremation ovens built by Topf & Söhne at all the sites where Aktion 1005 was meant to be carried out. When large numbers of corpses or carcasses have to be disposed of within a short time, makeshift open-air incineration methods (which can be set up on site rather quickly and using easy to procure materials) produce better results than specially built cremation ovens (especially when such don’t exist already but have to be ordered, engineered and built first), which is why the former and not the latter were used to dispose of mass mortality during the 2001 Foot and Mouth Disease Epidemic in the UK. The only fact certain is that Blobel’s alleged activity in Chełmno is not corroborated by any document, but only by mere testimonies, namely those of Rudolf Höss, the tortured commander of Auschwitz (“confirmed,” considerably later, by Walter Dejaco), Franz Schalling and Fritz Ismer. is a slight improvement over Mattogno’s earlier writings, which only mentioned Höss and Dejaco. But only a slight improvement. Mattogno omitted at least two other witnesses to Blobel’s activities at Chełmno: Franz Halle, a former member of Sonderkommando 4a requisitioned by Blobel to assist him, and Blobel’s driver Julius Bauer. And "mere" testimonies provided by various witnesses independently of each other are solid evidence in the real world, as opposed to Mattogno’s fantasy world where only a document counts as proof. Documentary evidence is not missing either, unless one shuts down logical thinking when looking at SS - Untersturmführer Walter Dejaco’s travel report dated 17 September 1942. And as to the "tortured" commandant of Auschwitz, it is true that Höss was tortured by his British captors in March 1946, but his writings quoted by Mattogno in this context were written in Polish captivity, and there’s no evidence whatsoever that Höss was tortured there. Quite the contrary, Höss’s Polish interrogators seems to have allowed him to state and write what he saw fit, even to challenge Soviet and Polish estimates about the number of people killed at Auschwitz-Birkenau. Mattogno goes on to do one of the rare useful things he does in MGK’s magnum opus (or in his writings in general, for that matter), which is to quote at length Dejaco’s "Report on the Mission to Łódź" (Reisebericht über die Dienstfahrt nach Litzmannstadt) dated 17 September 1942 and a travel permit for a trip from Auschwitz-Birkenau to Łódź dated 15 September 1942. The former document mentions as purpose of the trip the "inspection of a special installation" (Besichtigung einer Sonderanlage). The key passage of the report reads as follows: "Es erfolgte eine Besichtigung des Gettos, anschließend Fahrt zur Sonderanlage. Besichtigung der Sonderanlage und Besprechung mit SS-Standartenführer Blobel über die Ausführung einer derartigen Anlage." ("A visit to the ghetto took place, followed by a trip to the special installation. Inspection of the special installation and discussion with SS-Standartenführer Blobel about the design of such an installation."). It follows from this passage that SS-Standartenführer Blobel was somehow related to the design of this "special installation". Contrary to what one would expect from a report about a service trip (presumably meant to inform superiors about events during and/or the results of such trip), the "special installation" is nowhere described or identified in the report, which means that the nature of the "special installation" was a matter of secrecy. The only hint at what the "special installation" was comes from the aforementioned travel permit, which was granted for the inspection of "the experimental station for field ovens Aktion Reinhard" (Besichtigung der Versuchstation für Feldöfen Aktion Reinhard). So the "special installation" was a) a matter of secrecy and b) an experimental station for certain field ovens, i.e. for cremation devices. Now, why on earth would an experimental station for field ovens be a matter of secrecy? It can hardly have been a military secret, and besides neither of the participants in the trip and the inspection was involved in military matters. It must thus have been something that, if it became known to the enemy, could be detrimental to the reputation of the German Reich and used for enemy propaganda against the same. And what could that possibly be, other than an experimental station for field ovens meant to dispose of the bodies of mass murder victims? Add to the above the fact that several witnesses (Rudolf Höss and the "belated" Dejaco, Fritz Ismer, Franz Halle, Julius Bauer) independently of each other (except for Dejaco’s confirming Höss’s account) linked SS-Standartenführer Blobel to experiments regarding the cremation of mass murder victims at Chełmno extermination camp, and that there is ample other evidence to mass murder and the cremation of mass murder victims at that camp but no evidence whatsoever whereby Chełmno was anything other than an extermination camp or there was a "special installation" that would have been of interest to people like Höss and Dejaco and linked to Standartenführer Blobel anywhere else in the Łódź area, and the conclusion is inescapable that the aforementioned documents referred to the inspection at Chełmno of some sort of experimental device for the mass cremation of murdered human beings. It takes a lot of mental gymnastics and willful blindness to not reach this conclusion, but of course Mattogno is a specialist in both. So, rather than ask the pertinent question what, other than a cremation device related to mass murder, the "special installation" could possibly have been, Mattogno asks questions that are either false dilemmas or irrelevant to the essential matter at hand. Abundantly making use of rhetoric, he dresses up these questions (p. 1337) as being "a pivotal historical problem of crucial importance" which has "devastating consequences for the orthodox exterminationist version of events". Much ado about nothing. The oh-so-"pivotal" questions, by which Mattogno tries to obfuscate the obvious conclusions about the aforementioned documents, are the following: "if the “Feldöfen Aktion Reinhard” were really built at Chełmno and if they were cremation facilities built by Blobel: a) Why were they tested and built in Chełmno instead of Bełżec, Sobibór, Treblinka or Majdanek, that is in the actual camps of “Aktion Reinhardt”? b) What relation exists between these facilities and Auschwitz?" First of all, Mattogno’s "pivotal" questions are based on a false assumption: nobody has to my knowledge claimed that the cremation installations used at the Aktion Reinhard(t) camps were built at Chełmno, or that they were cremation facilities built by Blobel. The cremation roasters used at Bełżec, Sobibór, Treblinka were built on site, according to a method that may first have been tested by Blobel at Chełmno, that’s all. Accordingly the travel permit dated 15 September 1942 wasn’t for the inspection of "field ovens Aktion Reinhard", but for the inspection of an "experimental station for field ovens Aktion Reinhard" (emphasis added). Big difference. Chełmno was not a place where devices to be used elsewhere were built, but a place where devices to be set up elsewhere were meant to be tested. Why Chełmno? We don’t know and probably never will, but a possible reason is that Chełmno was the first camp where a) mass extermination on a large scale had been practiced and b) the need to dispose of a large number of buried human bodies by cremation, moreover within a short time that didn’t allow the wait for industrial cremation installations that had to be ordered from civilian companies and designed and built by them, had arisen. Additionally it was close to the big city of Łódź on territory of the Reich, which may have meant more expedient solving of administrative and logistical problems than could be achieved in the Generalgouvernement, where the camps of Aktion Reinhard(t) were located. As to the relation between the Chełmno facilities and Auschwitz, that is also easily explained: just like at Chełmno, though starting somewhat later, large numbers of human beings had been murdered there, thus creating a body disposal problem that the murderers first tried to solve by burying the corpses in mass graves, only to be confronted with the hygienic-sanitary problems that the decomposition of these corpses in the summer heat generated. The problem had to be solved quickly and couldn’t wait for what solutions to increase crematoria capacity the ingenious engineers of J. Topf & Söhne might come up with, negotiate with the Auschwitz-Birkenau construction office, design and build – a process that could and did take months, which is why Mattogno’s asking (p. 1338) why Höss went to look how Blobel was doing at Chełmno, instead of turning "to the most important German cremation company (Topf) and an undisputed cremation expert (Prüfer)", is pretty stupid and further evidence that Mattogno doesn’t live in the real world. So Höss was looking for a procedure that would allow him to quickly get rid of the tens of thousands of stinking bodies in the mass graves at Birkenau, a problem that couldn’t be solved within the required short time by increasing the number of the camp’s cremation muffles let alone by waiting for the design of novel mass cremation solutions proposed by Topf and Söhne. Mattogno even mentions the dates on which the projects for these novel solutions were submitted ("This is proven by at least three projects for field ovens elaborated by Topf for Auschwitz: the “Circular incineration oven [Ring-Einäscherungs-Ofen]” (5 February 1943), “crematorium VI” (12 February 1943), and the already mentioned oven referred to in the cost estimate of 1 April 1943"), without drawing the obvious conclusion that the corpses in the Birkenau mass graves, which started creating hygienic-sanitary problems in the summer of 1942, couldn’t be left creating such problems until Prüfer’s fantastic "circular incineration oven" started operating sometime in late 1943 or even 1944 (it was actually never ordered, and even the comparatively makeshift solution of the 46 Birkenau muffles wasn’t fully operational before mid-1943). The need for a quick fix to the problem of the Birkenau pits was one of the reasons why Höss went to Chełmno, in order to benefit from Blobel’s presumed experience in mass cremation facilities that could be set up and put to work with the required speed. As suggested by passages of Dejaco’s report about the delivery to Auschwitz of a Kugelmühle für Substanzen, i.e. a "ball mill for substances", Höss was also interested in a device for the further reduction of cremation remains. Whether what he saw at Chełmno convinced him that Blobel had what met the needs of Auschwitz-Birkenau, or whether Höss eventually decided that he could do better with methods of his own, is another matter. The latter seems to have been the case, and it would not be the first time that an official makes a trip to see whether the methods applied by a colleague serve his needs, only to then decide that they don’t and apply methods of his own. Such hindsight doesn’t make the official’s prospection trip into a "tourist trip", contrary to yet another of Mattogno’s unworldly remarks (p. 1340). If Blobel had tested the “field furnaces Aktion Reinhard” at Chełmno with success, as follows from that fact that they were, as stated in the Dejaco report, immediately ordered also for Auschwitz, then why was this method of cremation not introduced in the “Aktion Reinhardt” camps? Why did the choice instead fall on “the method of burning on roasters” allegedly adopted “not only at the Aktion Reinhard camps but also by Blobel himself at places like Babi Yar”? Furthermore, since Blobel claims to have obtained his order from Heinrich Müller in June 1942, why was the method of cremating the victims adopted only much later and in addition also at different periods of time for all the three main camps of the “Aktion Reinhardt”? Maybe the sense of the operation – hygienic considerations aside – was also not clear to the men. While there were doubts about the Third Reich’s superiority and victory after the defeat at Stalingrad, it was more than questionable whether the murder of millions of Jews, in which thousands of perpetrators had participated and which large parts of the population were informed about, could even be concealed by burning the corpses. The fact alone that corpses were being burned in Belzec was widely known: the flames could be seen as far as far as Tomaszów Lubelski and Rawa Ruska, and the mordant smoke went over the villages. Partly due to his ineptitude, and partly due to his desperation, poor Muehlenkamp does not even attempt to raise these pivotal questions. He merely settles for a superficial and childish discussion. It would rather be appropriate to say that, partly due to his ineptitude and quixotic worldview, and partly due to his desperation in the face of inconvenient evidence, Mattogno tries to sell as "pivotal" a number of rather pointless questions, in order to obfuscate the questions he should answer but prefers to avoid – especially the question why on earth a cremation device was a secret matter that could not be described more precisely in Dejaco’s travel report of 17 September 1942. Yet the beating-about-the-bush considerations discussed above, which take up a full 9 pages (1332 to 1340) of MGK’s magnum opus, are merely "indispensable preliminary remarks" according to Mattogno. The discussion of my critique is supposed to follow. Mattogno commences the discussion referring to remarks in his Chełmno book whereby "no document proves that a “special facility [Sonderanlage]” corresponding to the “field furnaces Aktion Reinhard” existed at Chełmno". That is true insofar as the Sonderanlage described by Dejaco in his travel report of 17 September 1942 was but an "experimental station" for the "field furnaces Aktion Reinhard", as mentioned above. Mattogno claims that "this" (the nonexistence of a document proving a "special facility" corresponding to the "field furnaces Aktion Reinhard") already follows from Höss’s notes written in Polish captivity, whereby Blobel "had ordered various makeshift ovens to be built and used wood and petroleum refinery byproducts for the incineration". Why these makeshift ovens could not have been the "field furnaces Aktion Reinhard" (or better, the experimental station for these field furnaces), Mattogno doesn’t explain. He then quotes another statement of Höss whereby the commandant of Auschwitz saw "the extermination installations with the trucks, which were adapted for killing with engine exhaust gases", and yet another whereby Culmhof (Chełmno) "was no longer in operation" at the time of Höss’s visit. The last of these statements gets Mattogno’s special attention because I had argued, on p. 454 of the critique, that transports to Chełmno stopped following the deportation of 15,700 Jews from the Łódź ghetto between September 1-2 and September 7-12, 1942, and a final deportation from the Zelów ghetto on 14 September 1942, after which the camp was dedicated to removing the bodies. Mattogno objects that according to Krakowski the transports to Chełmno ceased in March 1943, and that according to the Bonn Jury Court there were "only a few transports" from the end of 1942 until spring 1943. If so, this doesn’t change the fact that major deportations to Chełmno ceased before Höss arrived at the camp, and doesn’t preclude the possibility of Höss having gained the impression that Chełmno had ceased killing operations, or having been told by his Chełmno interlocutors that they expected no further transports to arrive. Adopting Judge Bednarz’s verdict that the “gas vans [Gaswagen]” had a capacity of 150 persons for the bigger model and 100 for the smaller, 2962 one trip using both vehicles would have handled a total of 250 persons, and thus 6,000 victims would have required a total of ([6,000 ÷250] × 2 =) 48 such trips or 24 each on 14 and 15 September. However, Chełmno extermination camp didn’t only have two gas vans at its disposal. Just’s letter to Rauff of 5 June 1942, which refers to operations at Chełmno, mentions three and not two vans. Gas van driver Walter Burmeister mentioned two medium-size Renault trucks with Otto engines and a third heavy van that was added temporarily. If the larger truck had a capacity of 150 persons and the two smaller ones could carry 100 persons each, then a total of 350 persons could be "processed" in one trip, and to handle 3,000 deportees each van had to make about nine round trips in one day (if only one large and one small van carrying 250 deportees had been available, 12 round trips per van each day would have been required). This means that wiping out 6,000 people on 14 and 15 September 1942, so that a visitor on 16 September would not notice any killing operations, was well within the camp’s possibilities. Yet Mattogno considers 3,000 killed per day excessive, and to support this claim he invokes the fact that "the 70,000 Łódź Jews allegedly scheduled for extermination in August 1944 were sent to Auschwitz because “the possibilities of Kulmhof would not have been sufficient for the killing of tens of thousands within a very short period of time", which he argues would not have been the case if Chełmno had had a capacity of 3,000 killed per day. What Mattogno doesn’t tell his readers is that the Chełmno camp had been dismantled in April 1943 and briefly reopened on a smaller scale in June 1944, and that during this second phase it never handled more than 700 deportees per day. Mattogno refers to his calculations, which are based on the false postulate that Chełmno had the same cremation capacity in the 1st phase of its operation (1942/43) as in the 2nd phase (1944/45), when cremation facilities consisted only of two ovens described by witnesses Zurawski and Srebrnik. For the 2nd phase ovens I had calculated a capacity of 576 corpses within 24 hours, considerably lower than the cremation capacity during the 1st phase (Critique, pp. 503f.). Mattogno argues that even with the "absurd" capacity I had calculated for the 2nd phase ovens (mind that we’re talking about the 1st phase here), burning 6,000 corpses would have taken ca. 10.5 days, so Höss arriving on 16 September 1942 would have seen cremation "in full swing" and not assumed that the camp was no longer in operation. The argument is moot as corpse cremation was precisely what Höss had come to Chełmno to witness, and his statement whereby the camp was no longer in operation can therefore only refer to killing operations having ceased. The operation of special treatment of some 100,000 Jews in my governmental area, as approved by you in agreement with the Head of the Imperial Security Main Office, SS-Obergruppenführer Heydrich, will be finished within the next 2-3 months. Since the travel permit (Fahrgenehmigung) was introduced as evidence during the Höss trial and the Dejaco letter was then already known as document NO-4467, it is plausible that the Auschwitz commander tried in some way to explain these two documents. That may be so, but why on earth would Höss provide a false explanation, predating a trip to Chełmno that had actually taken place at a later stage? What could he possibly have expected to gain thereby? And it was at Chelmno, the earliest of the Pharaonic tombs, that Blobel’s ‘Commando 1005’ began its operations. When interrogated at Nuremberg, Blobel delicately described this place as a ‘disused Jewish cemetery near Lodz,’ but it was at Chelmno that Höss visited Blobel on September 17th, 1942, to observe his ineffective attempts at eliminating mass graves by dynamite. Regarding the other of his "rather relevant facts", Mattogno regurgitates an argument from his Chełmno book, asking why, as becomes apparent from Dejaco’s travel report, the SS delegation from Auschwitz first conducted a (Besichtigung) (an inspection or sightseeing, in this context rather the latter than the former) of the Łódź ghetto before driving to the "special installation". Why they shouldn’t have briefly visited the ghetto before going to inspect the "special installation", Mattogno doesn’t explain. Next Mattogno asks (again, like in his book) why the travel permit did not mention the "alleged" destination of "Kulmhof and back" – a moot question as one would expect a certain discretion as concerns this place if (as all known evidence suggests, with no evidence pointing in another direction) it was a site of mass murder. Chełmno is in fact not located “near Lodz,” but ca. 60 km north-west of this city. The travel permit came directly from the SS-WVHA and more precisely from SS-Brigadeführer Richard Glücks, commander of the Amtsgruppe D, and therefore it cannot be seriously considered that Höss, arriving at Łódź, would then have continued on to Chełmno on his own initiative. The purpose of the travel permit was "inspecting the experimental station for field ovens Aktion Reinhard", so the permit’s holder was entitled to go wherever the "experimental station" was located. It was clearly not at Łódź itself, for Dejaco mentioned that he and his companions arrived there at 9 hours in the morning on 16.09.1942 and, after a visit to the local ghetto mentioned in only half a sentence, drove to the "special installation" for the demonstration thereof and subsequent conversation with Blobel. Activities at the "special installation" must have taken up a considerable part of the day, as the delegation drove back to Auschwitz only on the following day, 17 September 1942. Mattogno’s unfortunate attempt to get rid of Höß’s testimony about Blobel’s activities at Chełmno is followed by a peculiar "demonstration" that the bone mill (Knochenmühle) procured by ghetto administration deputy Ribbe for the Chełmno Sonderkommando on 16.07.1942 was actually a ball mill (Kugelmühle). He refers to a letter sent on 01.03.1942 by Biebow, head of the Łódź ghetto administration, to Commissar Fuchs of the Łódź Gestapo regarding the acquisition for the Sonderkommando Kulmhof from the company Schriever & Co. in Hannover of what was obviously the ball mill (Kugelmühle) mentioned in Dejaco’s report of 17.09.1942. A bone mill, Mattogno explains, is a device for making bone meal out of animal bones, and as this was obviously not the activity of Sonderkommando Kulmhof, the presence of such a device at Chełmno would raise "grievous suspicions" (gravi sospetti). The use of a "simple" (semplice) ball mill, on the other hand, is supposed to be innocuous. Apparently it didn’t occur to Mattogno that a bone mill and a ball mill are not mutually exclusive propositions (the former term refers to the mill’s purpose, the latter to its functioning mechanism), that a ball mill is a device meant to crush hard substances by metal balls revolving inside a drum, and that it’s hard to conceive what hard substances, other than human bones, the Chełmno Sonderkommando is supposed to have needed a ball mill for. The device used for crushing bones as Janowska concentration camp and reportedly lent to Bełżec extermination camp for the same purpose is described in a manner suggesting a ball mill, and its appearance on the photo below  corroborates this impression. However, if the Sonderkommando Kulmhof was indeed interested in such a machine already as early as 16 July 1942, this would indicate – from an exterminationist perspective – that the cremation problem had already been solved by then, but if that was the case, what then was the purpose of Blobel’s visit to Chełmno a few months later? The remark is nonsensical because interest in a bone mill signals a commenced or ongoing endeavor to cremate corpses and reduce the cremation remains in a bone mill, and not that this endeavor has already been accomplished. I posit instead that they were actually field waste incineration furnaces (Müllverbrennungsöfen) meant to destroy all flammable and unusable materials originating from the appropriation of Jewish goods (the economic aspect of “Aktion Reinhardt”), while the "ball mill" was used to grind down nonflammable materials. This is why the difference between a "ball mill" and a "bone mill" is of significance here. So the "experimental station for field ovens Aktion Reinhard" was nothing but an experimental waste incineration furnace, according to Mattogno. This postulate is followed by some particularly infantile ad hominem ("Muehlenkamp, with this Mühlenkampf (pun intended: Mühlenkampf, “dispute over mills”), gives another example of his incompetence and superficiality") and a supposed corroborating example (a paper and clothing incineration furnace mentioned by Sobibór witness Thomas Blatt), both of which can be safely ignored except for what they reveal about their author. For apart from being at odds with all related eyewitness and physical evidence, what Mattogno posits fails to explain the secrecy surrounding the device, i.e. why it was strictly referred to as a Sonderanlage (special installation or facility) in Dejaco’s report of 17 September 1942. Why didn’t Dejaco call it by the more informative name "Müllverbrennungsanlage", an installation or facility for incinerating waste, thus not leaving those for whom the report was meant guessing what he might be talking about? What could possibly have been so secret (and so special) about a waste incineration facility that it couldn’t be called by its proper name in a report about a service trip? Mattogno’s explanation for the ball mill is not much better. One wonders what nonflammable materials among stolen Jewish goods Mattogno expects to have been ground down in this ball mill. I wouldn’t be surprised if Mattogno didn’t know himself. Regarding the statement: "As it is improbable that both methods (cremation on grids and cremation in pits) were applied simultaneously or subsequently, I concluded that the method must have been burning on grids (as described by Ismer) placed inside pits (as described by Schalling)." Dr. Nick Terry has made available to me the record Fritz Ismer’s interrogation on 1 August 1961 by public prosecutor Tegge, head prosecutor at the Hamburg Court of Assizes, in the procedure Az. : 141 Js 204/60. Archival source: BAL (= Bundesarchiv Ludwigsburg, Federal Archives Ludwigsburg) B162/1332, pp. 73-80. Etwa ab Sommer 1942 wurden die Leichen der getöteten Personen nicht mehr vergraben, sondern auf Scheiterhaufen verbrannt. Etwa in der gleichen Zeit wurde damit begonnen, die vorhandenen Massengräber wieder zu beseitigen. Anfangs wurden die Leichen in Gruben verbrannt, später wurden Roste gebaut aus Eisenbahnschienen, auf denen die Leichen verbrannt wurden. Die anfallenden Knochen wurden in Knochenmühlen zermahlen und dann in Papiersäcke gefüllt. Diese Knochenreste sollten als Dünger verwendet werden, wurden später aber dann zur Beseitigung im freien Gelände ausgestreut. Auf Vorlage der in der Bildermappe vorhandenen Knochenmühlen: Ich kann mich an das Aussehen der Knochenmühlen nicht mehr erinnern. Since about the summer of 1942 the corpses of the persons killed were no longer buried, but burned in pyres. At about the same time the removal of the existing mass graves was begun. At first the corpses were burned in pits, later roasters from railway rails were built, on which the corpses were burned. The accruing bones were ground in bone mills and then filled into paper sacks. These bone remains were to be used as fertilizer, but later they were removed by scattering them in open fields. Upon being shown pictures of bone mills from the picture folder: I can no longer remember the aspect of the bone mills. The second paragraph of the quote suggests that, contrary to my previous assumption, the burning in pits described by Franz Schalling may have preceded the burning on roasters mentioned by Ismer, whose statement doesn’t suggest that the roasters were placed inside pits like at Sobibór according to several witnesses (see Part 1 of this series). Whether or not there was a pit containing the flammable materials underneath the roasters (like at Treblinka, see again Part 1) does not become apparent from Ismer’s statement, so it remains possible (also considering the previous burning pits) that there was such a pit. Frage: War Blobel noch öfter in Kulmhof? Antwort: Gesehen habe ich Blobel nicht. Er war meines Erachtens aber öfter dort. Dann hat er sicher Bothmann besucht. Ich glaube mich zu erinnern, dass Bothmann selbst von diesen Besuchen erzählte, denn bei solchen Besuchen wurden erhebliche Mengen Alkohol getrunken. Ich meine, dass Bothmann von solchen Trinkgelagen erzählte. Frage: Haben Sie von weiteren Leichenverbrennungsversuchen gehört? Antwort: Von weiteren Versuchen Blobels habe ich nichts gehört. Wir entwickelten aber im Laufe der Zeit eine gewisse Technik bei der Leichenverbrennung. Die beste Art war eben die Verbrennung auf den Rosten. Question: Was Blobel often in Kulmhof thereafter? Answer: I didn’t see Blobel. But I think he was there often. On those occasions he surely visited Bothmann. I think I can remember that Bothmann himself told about these visits, for at such visits considerable amounts of alcohol were consumed. I think that Bothmann told about such drinking binges. Question: Did you hear about further corpse burning trials? Answer: Of further trials by Blobel I heard nothing. However, we developed a certain technique in burning corpses over time. The best way was the burning on the roasters. Unless one is to assume that Blobel visited Bothmann just in order to get drunk with him, Ismer’s testimony, rather than suggesting that Blobel carried out just one failed experiment, actually suggests that Blobel was at Chełmno several times to carry out cremation experiments – which is in line with other testimonies as well as the documents addressed in this blog. Ismer’s testimony further clarifies that burning on roasters was the method that the Chełmno staff stuck with because it was the most efficient. "The device described is simply put ridiculous: a kind of a huge “Lötlampe,” that is, a makeshift blowtorch: apparently Blobel, himself a World War One front veteran, did not know that there existed military flamethrowers (despite this device in its modern form being a German invention from 1901)." Ismer described the device as "a pot with a longer tube", which is what a flamethrower essentially is: a container with a flammable substance that is ejected through a tube and ignited at the end of it. Accordingly I referred to the device as a "flamethrower-like apparatus". "Ismer also mentioned the more effective cremation method that was eventually adopted; pointing out that "a certain technique in burning corpses on the grids" had been developed after some time. Former police officer Frank Sch., who for a time had been part of the guard detachment in the Rzuchów forest section of Chełmno (known as the Waldlager, or forest camp) testified that the bodies extracted from the mass graves had been burned in three or four pits about 5 meters long, 4 meters wide and three meters deep. The descriptions of Ismer and Frank Sch. 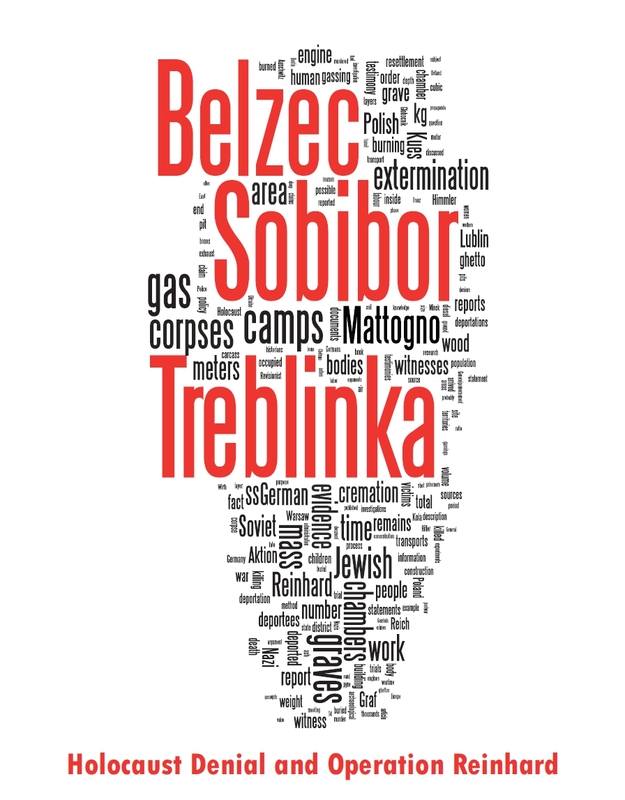 suggest a method of burning corpses on grates inside of pits, akin to the one applied at Sobibor extermination camp." The source is Adalbert Rückerl, NS Vernichtungslager im Spiegel deutscher Strafprozesse, p. 273. Rückerl was quoting from the Bonn Jury Court’s judgment of 20 March 1963. W. Bednarz, "Obóz zagłady Chełmno" (The Extermination Camp of Chelmno), in: Biuletyn Głównej Komisji Badania Zbrodni Hitlerowskich w Polsce, I, 1946. Jens Hoffmann, "Das kann man nicht erzählen.»Aktion 1005« - Wie die Nazis die Spuren ihrer Massenmorde in Osteuropa beseitigten, 2008 KKV konkret Hamburg, p. 223. Mattogno complains that "Hoffmann limits himself to reporting the corresponding passage of the 20 March 1963 verdict by the Bonn Court, adding on his own that the rail tracks covered the pit, and therefore were positioned above it, while the verdict says only that the apparatus was constructed from "some iron rail as grid [einigen Eisenschienen als Rost]," without specifying their placement." See next note. According to Mattogno’s translation of Hoffmann’s German text, the pit was "covered" with iron rails. Hoffmann writes that the pit was "mit Eisenschienen belegt", which more correctly translates as "occupied with iron rails" and suggests that the rails were inside the pit instead of covering it. The pertinent text of the Bonn Jury Court’s judgment of 20 March 1963 reads as follows: "Daraufhin wurde ein Verbrennungsofen erstellt, der aus einer Grube im Umfang von ca. 4x4 m und einer Tiefe von 2m, einigen Eisenbahnschienen als Rost und einem seitlich in die Erde führenden Luftschacht bestand." – "Thereupon a cremation oven was set up, which consisted of a pit with an area of about 4x4 m and a depth of 2 m, some railway rails as a grid and an air duct leading laterally into the soil." Rückerl, Vernichtungslager, footnote 64 on page 274: "Mehrere ehemalige Angehörige des Sonderkommandos Chelmno bekundeten bei ihren Vernehmungen, im Sommer 1942 sei der mehrfach mit der Durchführung der »Enterdungsaktion« (Kommando 1005 – Beseitigung der Massengräber im Ostraum) betraute SS-Standartenführer Blobel nach Chelmno zum Waldlager gekommen, um Versuche mit Leichenverbrennungen zu machen" - "Several former members of the Chelmno special detachment stated during their interrogations, that in the summer of 1942 SS-Standartenführer Blobel, who had been tasked several times with carrying out the »unearthing action« (Commando 1005 – removal of mass graves in the east) had come to the Chelmno Waldlager (forest camp) to carry out corpse cremation experiments." Hoffman ("Das kann man nicht erzählen", pp. 80f.) quotes from the deposition of Fritz Ismer on 1 August 1961 and refers to the depositions of Julius Bauer on 4/5 July 1963 and Franz Halle on 8 May 1963. "Ich selbst wußte nie die Gesamtzahl, habe auch keine Anhaltspunkte, um sie wiedergeben zu können. Es sind mir lediglich noch die Zahlen der größeren Aktionen in Erinnerung, die mir wiederholt von Eichmann oder dessen Beauftragten genannt worden waren. Die Zahlen der kleineren Aktionen sind mir nicht mehr in Erinnerung, sie waren aber im Vergleich zu obigen Zahlen unbedeutend. Ich halte die Zahl 2½ Millionen für viel zu hoch. Die Möglichkeiten der Vernichtung hatten auch in Auschwitz ihre Grenzen. Die Zahlenangaben ehemaliger Häftlinge sind Phantasiegebilde und entbehren jeder Grundlage." ("I myself never knew the total number and have nothing that would enable me to reproduce it. I only remember the numbers of the larger actions, which were mentioned to me repeatedly by Eichmann or his deputies. Experten der Vernichtung, pp. 191-92, my translation. 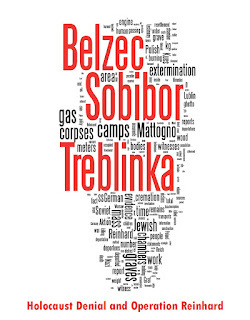 Berger is referring to why the mass graves at Bełżec were not cleared thoroughly and corpses were left at the bottom of the graves, but her explanation can also be applied as one reason why exhumation and cremation of the bodies began at a relatively late stage (no earlier than November 1942 at Bełżec, at about the same time or later at Sobibór and Treblinka). This was also the conclusion of the Bonn Jury Court in its judgment of 30 March 1963 at the trial against Heinrich B. et al, see the HC reference library’s thread "Number of Victims of Chelmno Extermination Camp" ([link]). Burmeister’s testimony is quoted in Kogon/Langbein/Rückerl et al (editors), Nationalsozialistische Massentötungen durch Giftgas, pp. 115, 123f., 125f., 129f. See transcription and translation of the vans’ description in the HC reference library’s thread "Testimonies about Engines used for Homicidal Gassing" ([link]). Document NO-246, quoted in the blog "Gauleiter Arthur Greiser" ([link]) after Kogon et al, Nationalsozialistische Massentötungen durch Giftgas, p. 18, and here after Mattogno, Chełmno, p. 31. Mattogno omitted the rest of the letter, in which Greiser asks for permission to use the Chełmno Sonderkommando to kill 35,000 Poles with open tuberculosis ("Though it is not possible to tackle this popular plague in the Old Reich with corresponding draconian measures, I think I can take the responsibility of proposing to you that here in the Warthegau the cases of open tuberculosis among the Polish people are extirpated. "), as it runs contrary to his feeble argument that the "special treatment" mentioned by Greiser "was merely an extension to the Jews in Warthegau of the order that Hitler had sent to Greiser on 28 September 1941, concerning the expulsion of the Jews of the Reich proper and the Protectorate via the ghetto of Łódź during “next spring,” that is, spring 1942". In the magnum opus (pp. 273f.) Mattogno feebly tries to defuse Greiser’s reference to the killing of tubercular Poles by the same Sonderkommando that had been performing the "special treatment" of the Jews, studiously avoiding the above-quoted passage of Greiser’s letter. However, Mattogno had already made the fatal concession in MGK’s Sobibór book that Greiser’s letter of 1 May 1942 referred to the killing of tubercular Poles, see Jonathan Harrison’s blog "Mattogno’s fatal concession" ([link]). Jonathan Harrison addressed Mattogno’s behavior in detail in the blog "Mattogno's 'Riposte', 2013" ([link]). Gerald Reitlinger, The Final Solution. The Attempt to Exterminate the Jews of Europe 1939-1945. 2nd Revised and Augmented Edition Thomas Yoseloff South Brunswick, New York, 1968, p. 147. Juliet Golden, "Remembering Chełmno", in: Karen D. Vitelli, Archaeological Ethics, pp. 188-193 (p. 192). I've seen a lot of comments from deniers regarding the lack of crematorium at the Action Reinhard Camps and Chelmno. It makes sense to build crematorium at regular concentration camps. The crematorium could be serviced at regular intervals, concentration camps were fixed installations with a set number of prisoners, it was easier allot building materials for these crematorium and so on. Chelmno and the ORC were temporary installations designed to kill quickly and then shut down. The cost for building crematorium and then maintaining them made no sense. Plus it would be difficult to dismantle them and cart them away if needed (the Germans blew up the crematorium at Birkenau instead of dismantling them). RM: Quite the contrary, Höss’s Polish interrogators seems to have allowed him to state and write what he saw fit, even to challenge Soviet and Polish estimates about the number of people killed at Auschwitz-Birkenau. Those estimates you quote from Hoess' Nov 1946 statement were first "tortured" [your word] from him by the "British" [recte: Hanns Alexander, a German Jew]. I should point out that in his first statement, Hoess gave essentially identical figures for the major 'actions' as he did in his memoirs [recte: FS statement, Nov 46]. Hoess didn't initially challenge the mega figures during his trial. On day two he said that the British had insisted up to 7 million must have been killed at Auschwitz and under this pressure he'd agreed to the figure of 3m. He told the court that on once entering Glücks' office he'd overheard Eichmann mention 2.5m in relation to Auschwitz, but wasn't sure if it related to the number of Jews sent there for gassing. He then told the court he good give them no other estimate than 2.5m. On day 14 of the trial Hoess' gave his country-by-country estimates that had first been "tortured" [your word] from him by the "British". Only after Blumenthal testified on day 15, when he stated only c.1.5m Jews were killed at Auschwitz, did Hoess confirm this lower figure. after they had beaten the living daylights out of him? If not, it’s hard to understand what point our long-eared wise guy is trying to make. He's an idiot. He wants it both ways: he insists that a "Jewish conspiracy" forced the 4 million number on people because Deborah Lipstadt and others took it seriously in the 80s, and that the same "Jewish Conspiracy" tortured Hoess into talking about 1.5 million dead. The fact is that the Poles didn't torture anyone. They were following the established Soviet policy of "do not divide the dead" - hiding the fact that the Nazis killed Jews for being Jews, and framing Nazi murders as Capitalists killing Communists. No way in hell would the Poles allow a Jewish person to "torture" a man in their custody to talk about how the majority of victims in an extermination camp were Jewish, and were killed for being Jews. Straw men, Nathan, straw men everywhere. Nathan: The fact is that the Poles didn't torture anyone. They were following the established Soviet policy of "do not divide the dead" - hiding the fact that the Nazis killed Jews for being Jews, and framing Nazi murders as Capitalists killing Communists. No way in hell would the Poles allow a Jewish person to "torture" a man in their custody to talk about how the majority of victims in an extermination camp were Jewish, and were killed for being Jews." Utter crap, every single word of it. The victims of the reign of terror imposed by Stalin and carried out by his Jewish subordinates during the first ten years after the war numbered tens of thousands. Most of them were Poles who had fought against the Germans in the resistance movement. The Communists judged, quite correctly, that such Poles were the people most likely to oppose the Soviet rule and were therefore to be exterminated. That task was assigned to the Jews because they were thought to be free of Polish patriotism, which was the real enemy. >>>> "- - The "Poles" as you refer to the Soviet puppet regime in the former Second Polish Republic, were evidently having reduced Auschwitz death tolls thrown "in their face" from all angles. So Poland didn't become a Soviet puppet state after the war? Is that what you're claiming Nathan? >>>> "Doesn't explain why the Plaque at Birkenau, as you people enjoy reminding us, said "4,000,000" for Forty Plus years. Oh, and your "something had to be done" guess entails collusion between the West and the Soviets. Can you prove that?" You're right, when applied to what you've written. After the end of the war the Soviets turned the ravine of Babi Yar into a municipal garbage dump, and later into a garbage incineration site. To the best of this author's knowledge, Khrushchev's reprimand to Yevtushenko was never made public in the western world. Did this terse rebuke perhaps reflect the plain and simple truth? To answer Tiedemann's question, it's that the Soviets didn't fake the Holocaust. It happened, and they did their best to bury it as part of their well known policy. And they did this because your spam is, to quote your words, "utter crap, every word of it". Judeo Bolshevism never happened. In any way, shape or form. That the trial was stacked against Hoess is no secret. The fact is that he still testified and insisted, to his last breath, that "only" 1 Million people died under his command. He wasn't tortured. You've pointed out that the "Jewish dominated" Poles indicted him for 4 Million dead, and yet insist that Hoess testified to only 1 million dead at the behest of a "Jewish Conspiracy", represented by your boogeyman Blumenthal. Why didn't the Poles just indict him for 1 Million then, since they're controlled by the Jews? Could it be because they had their own agenda, totally independent of your non-existent Jewish conspiracy? Nathan, BRoI, Roberto, can I make a suggestion? Just write a response paragraph vs paragraph. Don't fisk. Nathan, your quoting of parts of BRoI's posts makes it extremely hard to work out what YOU are saying. There are no forum-style quote functions or anything other than putting quotes in italics or another HTML tag available via Blogger comments, therefore it's senseless to try fisking unless you are very disciplined with italics tags or some other way of making it absolutely, 100% clear who is saying what. We've had readers complain that some of the comment discussions are very hard to follow because of the confusion over who is saying what. Unfortunately there's nothing we can do, except encourage commenters (all of them) to write without reproducing the comments they are responding to. BRoI and Roberto are more disciplined with italics, but it would be really good if they, too, stopped fisking and simply replied with comment vs comment, paragraph vs paragraph. The repetition of quotes really does make these discussions hard to follow. Why not locate the most relevant point made by the person you are replying to and quote it in inverted commas inside a conventional paragraph, as would be done on thousands of other occasions in written dialogues. Your criticism is acknowledged. Thank you. I'll follow your advice. The silly, fluffy little daft rodent seems to forget that the post war Communist Polish administration was beholden to the Soviet version of the Holocaust - that it was a crime against Polish and Soviet citizens, not against Jews alone. The fact that the indictment you quoted downplayed the focus of the Nazis on the Jews is evidence for that. The fact is that Hoess was giving out numbers lower than 4 million long before Blumentahl testified. Its also important to note that he wrote his memoirs, including his criticism of witnesses and his lower country by country death estimates while awaiting trial IIRC. It is evident to the wise among us that TLB has gotten noticeably stupider, producing gaffe after gaffe..
"The victims of the reign of terror imposed by Stalin and carried out by his Jewish subordinates during the first ten years after the war numbered tens of thousands." No one disputes the roles of Anatol Feigen, Yakub Berman ect. in post war Poland. But these men considered themselves communists first and foremost and were hated by most remaining Polish Jews. Timothy Snyder wrote that these man considered themselves to be "Proper patriots [and] proper Poles" as opposed to Jewish agents. Scared little bunny won't respond. That's alright boy, keep hiding behind mommy. Still nothing. Is that a white flag I hear waving? Hoess also made it a point to blame the conditions of the camps at the end of the war on allied bombing.